SWFL BirthNetwork’s professional programs seek to create a supportive community of maternity care providers who are united in the effort to work toward a more mother-, baby- and family-friendly health care system. Industry-wide change is never easy, but by working toward a common goal, maternity care providers can begin to change professional attitudes toward birth and provide better care for all women in SWFL. 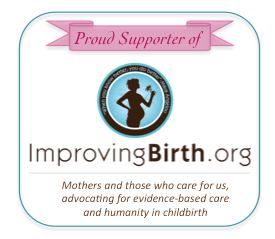 One of the easiest ways to help advance our cause of better birth for all women in the SWFL region is to become a member. Birth professionals who join as members will be included in our printed and online provider directories and benefit from speaking and networking opportunities at SWFL BirthNetwork events. SWFL BirthNetwork hosts an annual Birth Professionals Meet and Greet for local professionals who serve childbearing women and their families. The goal of the meet and greet is to foster a community of respect amongst participants, open the lines of communication, learn from each other and work toward a common goal of improving maternity care services and outcomes for moms and babies. Meeting topics will focus on issues such as fostering successful breastfeeding, patient education, lowering our Cesarean rate and other issues put forth by the Mother-Friendly Childbirth Initiative. View upcoming professional classes and trainings in the State of Florida for childbirth educators, doulas, midwives, breastfeeding educators and others who work with childbearing women. Sign up for SWFL BirthNetwork’s Birth Professionals Newsletter to stay updated on the latest news and events. Currently our newsletter is only available in email format.